At Hampton you*ll find exactly what you need whether you*re traveling for business or pleasure. 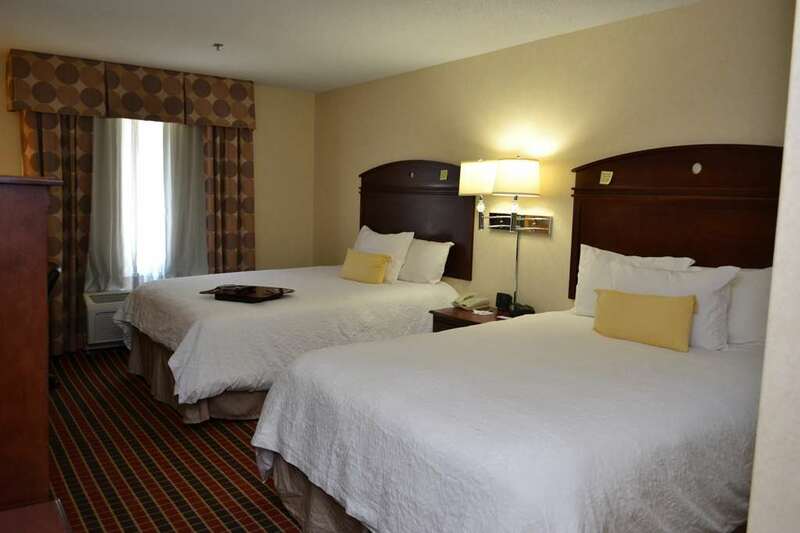 In the spacious rooms and studio suites at this Hampton Inn - Suites Dayton-Airport Ohio hotel you*ll enjoy all the extras our hotel has to offer. Along with earning Hilton HHonors Points and Miles you will enjoy a complimentary On the House hot breakfast 24-hour fitness center Business Center guest laundry and Suite Shop. You can start your weekday morning with a complimentary USA Today in our lobby while relaxing with a complimentary cup of coffee or tea offered 24 hours a day. You also may want to enjoy the indoor pool at the Hampton Inn - Suites Dayton-Airport Ohio hotel or take advantage of our complimentary airport shuttle. The new Hampton Inn - Suites Dayton Airport is the closest Hampton Inn - Suites to the Dayton International Airport which is only a 6-minute drive. We provide a complimentary 24-hour shuttle service to and from the Dayton International Airport. Located in Englewood Ohio we are 3 miles from Interstate 70/75 Interchange with very easy on and off access to Interstate 70. As always the Hampton Inn - Suites Dayton-Airport Ohio hotel offers the 100 Hampton Guarantee. We look forward to seeing you. We love having you here at the Hampton Inn - Suites Dayton-Airport Ohio.